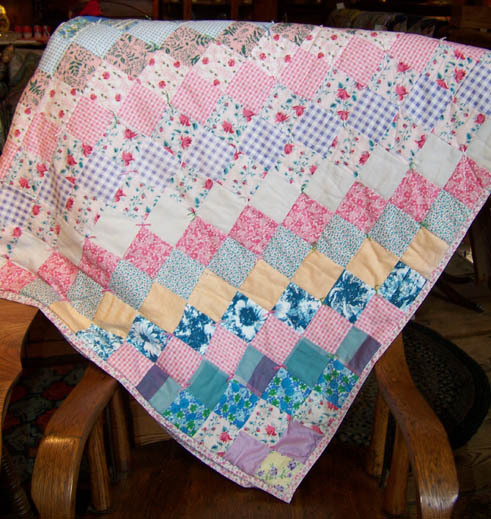 Description: Here is a nice early hand-sewn multi-colored quilt in a interesting pattern. 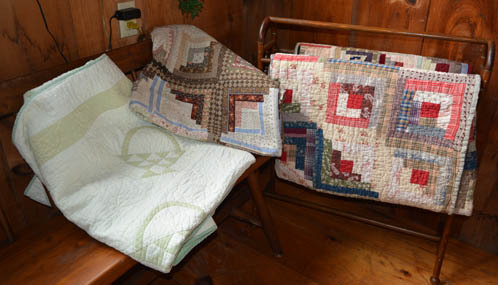 The quilt pattern is called "Trip Around the World"
Dimensions: Quilts with sham - 93" x 65". Beige, green and rose - 54" x 84". Green, yellow and rust - 60" x 80". Blue and Brown diamonds - 72" x 84"
Price: $225 each for sets with sham. $250.00 each for the rest. 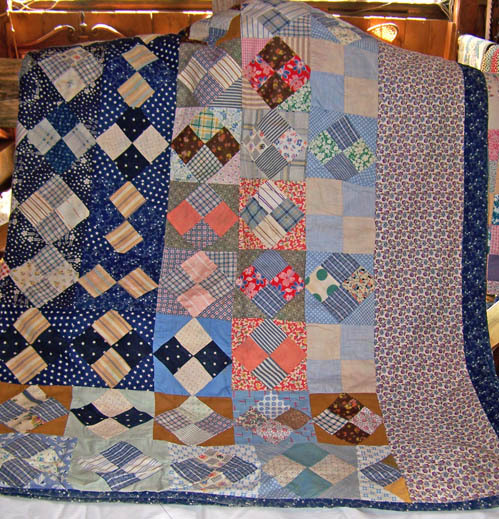 Description: The patch work quilt is an old favorite and as "American as Apple Pie". 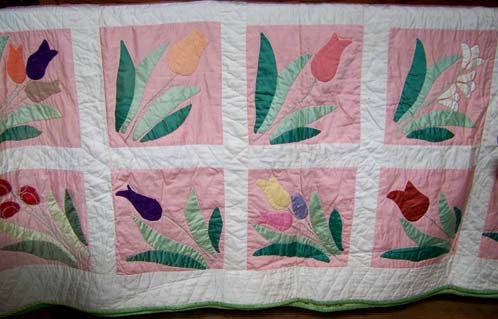 This is a nice example of that pattern and is dated circa 1930.